We spent part of the weekend this week decorating for Christmas so today I'm going to share with you our mantel for this season. 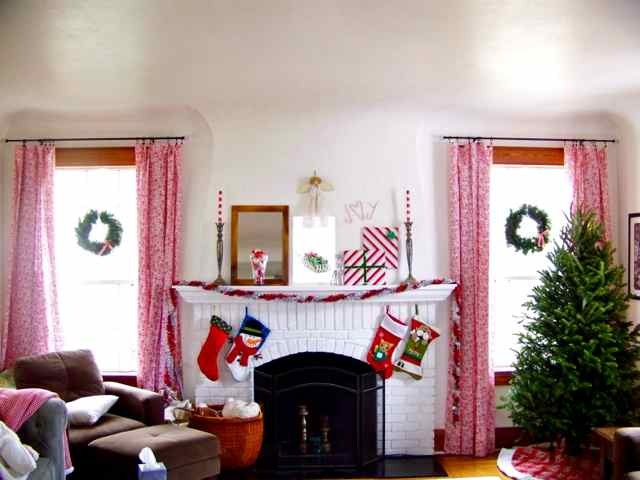 We kept it fairly simple this year with a strong candy cane theme. I looked all last year for candy cane striped candles but couldn't find any so I was super excited to find one box of them at HomeGoods this year (almost a month ago). 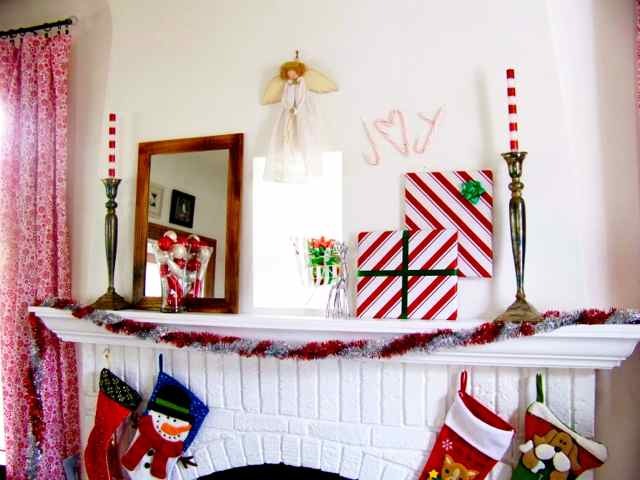 I also wrapped some frames with candy cane paper and added the silver and red garland along with the red and white ornaments to keep with the red and white theme. 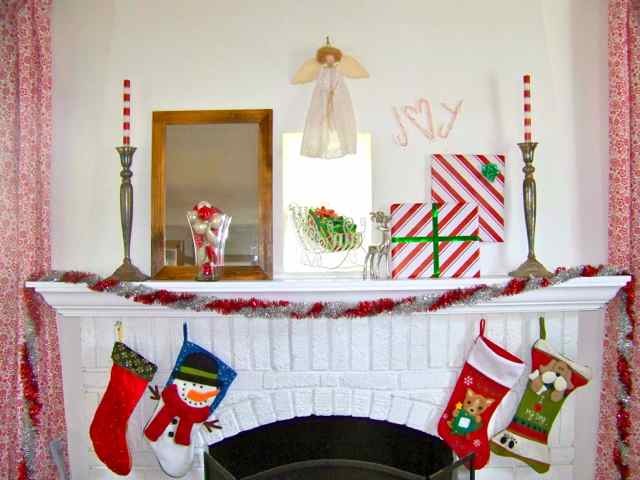 As a last little touch, I used some real candy canes to spell out Joy. This isn't the only area we decorated but I'll save the rest of the house for another time.